In targeting roles, aircraft like the Airborne Laser and helicopters like Comanche can be equipped with gimbaled active or passive devices with a fully integrated suite of displays, command controls and communications. In direct reference to Comanche, the advanced infrared (IR) sensors had twice the range of OH-58D Kiowa Warrior and AH-64 Apache sensors. The Comanche was equipped with the Apache Longbow fire control radar and the Helmet Integrated Display and Sight System (HIDSS). The fully integrated avionics system allowed tactical data to be overlaid onto a digital map, allowing the crew to devote more time for target detection and classification. A triple-redundant fly-by-wire system automatically held the helicopter in hover or in almost any other maneuver, reducing workload, allowing the pilot to concentrate on navigation and threat avoidance. A hand-on grip permitted one-handed operation. The Comanche incorporated more low-observable stealth features than any aircraft in Army history. The Comanche radar cross-section (RCS) was less than that of a Hellfire missile. To reduce radar cross-section, weapons were carried internally, the gun was rotated aft and stowed within a fairing behind the turret when not in use, and the landing gear was fully retractable. The all-composite fuselage sides were flat and canted, and rounded surfaces were avoided by use of faceted turret and engine covers. 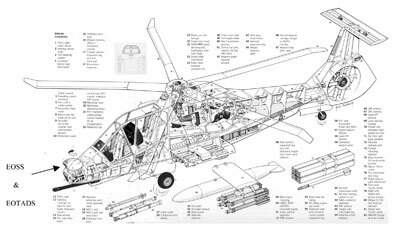 The Comanche’s head-on RCS was 360 times smaller than the AH-64 Apache, 250 times less than the smaller OH-58D Kiowa Warrior, and 32 times smaller than the OH-58D’s mast-mounted sight. This meant that the Comanche would have been able to approach five times closer to enemy radar than an Apache, or four times closer than an OH-58D, without being detected. 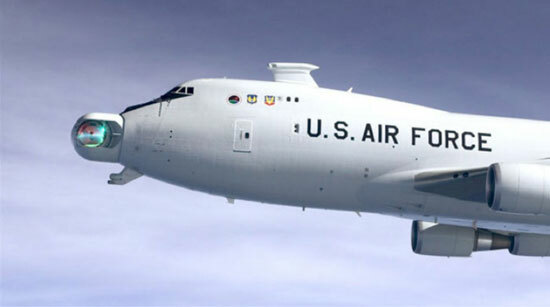 Lockheed Martin Missiles and Fire Control developed an EOSS (electro-optics sensor system) which was comprised of: EOTADS (electro-optics target acquisition and designation system), including a solid-state TV sensor, two-color laser rangefinder/designator and second-generation focal plane array long-wave FLIR (forward-looking infrared); and NVPS (night-vision pilotage system) with a second FLIR for Comanche. Peregrine worked with Lockheed Martin out of Orlando, FL on the EOSS / EOTADS system for Comanche. Peregrine had the responsibility of producing the gimbals for this high performance system. In particular to this case study, Peregrine produced complex gimbals as can be seen illustrated in figure 2. These were high precision components made from beryllium-based material. Precision machining was required in 5-axis mode to achieve the overall geometry requirements for the components, plus precision alignment of the bores and bearing locations. Directly involved with the overall production was our manufacturing and design engineering team that relies heavily on SolidWorks for modeling, 3D manufacturing, simulation and final inspection. Some of the complex geometries involved with the gimbals shown herein, required complex 3-D dimensional verification obtained by importing solid models into our dimensional verification system and validating spatial requirements. The components supplied to Lockheed Martin Missile and Fire Control systems for the Comanche EOSS / EOTADS enabled their system to rapidly target and track objects. Peregrine successfully delivered the gimbals for the Comanche system meeting weight, performance and overall quality objectives. Peregrine is a leader in the development and production of high performance gimbals for optical systems for use in military and commercial high performance applications. Our expertise spans over 25 years. 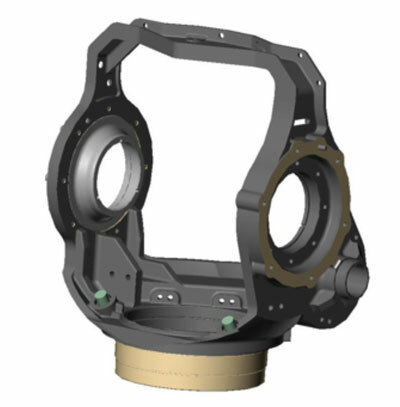 Peregrine has produced space-qualified gimbals, pointing systems, optical structures and air frame mounted gimbals for FLIR systems. These high performance applications demand a high degree of accuracy and operation under extreme environments. Our products have supported infrared optical systems, visual optical systems, and x-ray optical systems. We work with our customers to produce custom gimbal designs to meet mission specific needs.